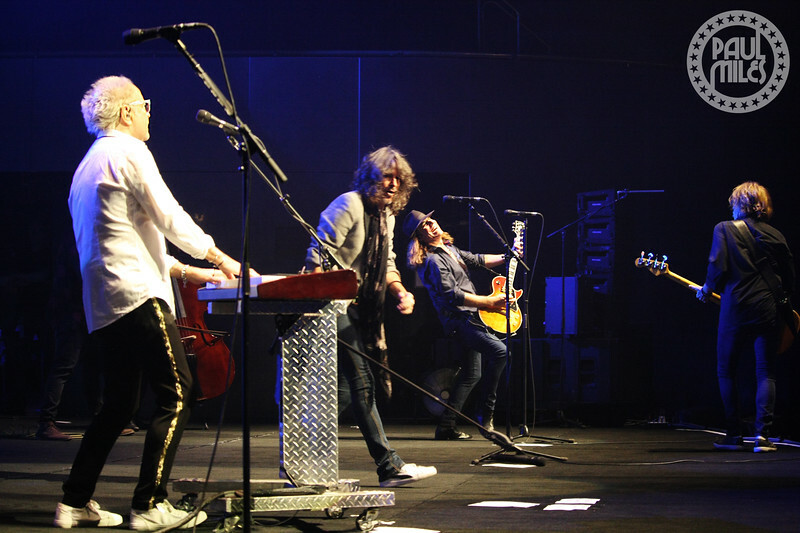 Legendary English-American rock band Foreigner performed at Melbourne's Hamer Hall on Monday 29 October 2018, backed by an 18-piece orchestra led by celebrated Canberra conductor Kenneth Lampl, as part of their tour of Australia and New Zealand. Formed in New York City during 1976, Foreigner is one of the world's best-selling bands of all time, with worldwide sales of more than 80 million records, including 37.5 million records in the US alone. The band is led by founding lead guitarist and songwriter Mick Jones, and now includes rhythm guitarist Thom Gimbel (Aerosmith), bassist Jeff Pilson (Dokken, Dio), lead singer Kelly Hansen (Hurricane), keyboardist Michael Bluesmen (Boz Scaggs, Enrique Iglesias), guitarist Bruce Watson (Big Country), and drummer Chris Frazier (Whitesnake, Steve Vai, Eddie Money). Foreigner thrilled the Melbourne audience with their newly envisaged orchestral concert that featured all their iconic hits like Feels Like the First Time, Cold as Ice, Waiting for a Girl Like You, Urgent, and the timeless #1 global smash, I Want to Know What Love Is. All photos in this gallery are Copyright © 2018 Paul Miles. All rights reserved. May not be used without written permission.